Going live this 6th November 2017, Early Bird Starts at 10AM EST! Majestic Templates Video Toolkit is a new array of cutting edge PowerPoint video templates created with advanced video creation techniques and animated with stunning animations that impress the most demanding. These videos not only look absolutely gorgeous but they are also highly versatile and customizable in few simple steps using PowerPoint. We are one of the pioneers in creating video templates for PowerPoint and throughout these years we have sharpen our design skills, with years of experience we are able to produce some of the most creative unique video designs paired with marvelous animations that will only impress your buyers. Our ultra-creative contents will not only convert well but will also be leaving a smile in your customer. OTO 1: Upgrade Version of Majestic Templates: Developer rights plus many more additional gorgeous video templates. OTO 2: Power Video Template Bundle, allow your customers to grab Power Video Template and its Upgrade verson for a discounted price Power Video Template is a collossal collection of video templates customizable in PowerPoint, the bundle is included with massive 140 video templates and 100+ animated logo templates. OTO 3: SuperPowerPPT Club, the ultimate PowerPoint video templates and animated slides membership. Monthly recurring commision, first month 50% then subsequent commission 20%. The team at SuperGoodProduct just released their new video templates bundle and it totally blew me away! In a nutshell the product its call Majestic Templates Video Toolkit and it’s a new array of absolutely gorgeous video templates created with advanced video creation techniques and animated with stunning animations. The video templates in the Majestic Templates Video Toolkit are simply stunning, they look like they are created using more advanced video software but these absolutely gorgeous video templates are all customizable so easily using just PowerPoint. Oh they are also highly versatile; you can change almost everything you see in the video, the image, text, color, how the animations move and literally anything in the video. Did I mention they are so easy to customize too using PowerPoint? You can literally have your own awesome video up and running in just minutes! You will get access to vast selection of ultra-creative video templates in the Majestic Templates Toolkit that covers various different themes that allow you to create stunning marketing videos, cinematic style videos and many more. Unless you been living under a rock, video marketing is here to stay and its not going anywhere so if you want to create awesome video without much efforts or burning through your wallet to hire expensive designer, Majestic Templates Video Toolkit is a must check out! So head over here and check out Majestic Templates Video Toolkit now! Just went live: Majestic Templates Video Toolkit a new array of cutting edge PowerPoint video templates created with advanced video creation techniques and animated with stunning animations that allow you to create stunning videos in few simple steps using PowerPoint. The video templates in the Majestic Templates Video Toolkit are simply stunning, they look like they are created using more advanced video software but these absolutely gorgeous video templates are all easily customizable without any technical skills using PowerPoint. And not only these video templates look gorgeous but they are also highly versatile, you can change almost everything you see in the video, the image, text, color, how the animations move and literally anything in the video. Introducing Majestic Templates Video Toolkit, a collection of brand new gorgeous PowerPoint video templates paired with cutting edge animations. Every time a new PowerPoint video templates bundle is released some of them offer great values, some of them a bit disappointing but some of them bring it to a complete new level, and Majestic Templates Video Toolkit is the one that literally bring it to a new level! The video templates in this toolkit is simply amazing, they are ultra-creative with some of the most unique designs I have seen and they are animated with gorgeous animations that make these video templates absolutely stunning. The video templates are super versatile and easy to customize too, you can almost everything you see in the video, the image, text, color, how the animations move and literally anything in the video. 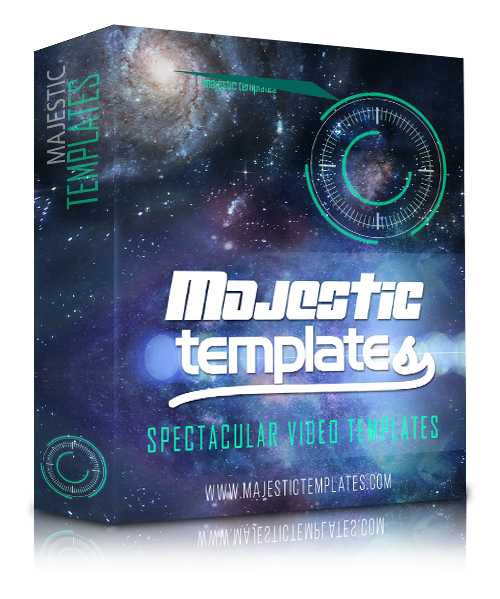 The Majestic Templates Video Toolkit is a must check out if you want to create attention grabbing videos without much efforts.